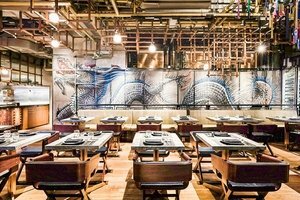 This spectacular and curated restaurant is situated in the reputable area of Central. It is an ideal venue for a Private Event, Evening Event, Food Event or Product Launch. This expansive restaurant has a welcoming frontage and opulent interiors with grey walls and wooden floors. 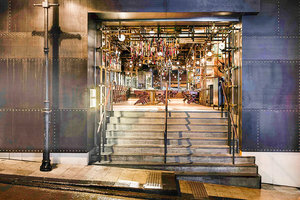 The venue has a sophisticated atmosphere with a conceptual edge. Boasting air-conditioning, basic lighting and chairs and tables, this venue is well-equipped for private event and evening event. Located close to commercial buildings and popular restaurants, this location benefits from unprecedented foot traffic and is ideal for brands to host an unforgettable pop-up event.